Rules relating to buses and other people carriers are stricter than that of cars. There is a special duty to take care of passengers and Vincent and Tim Shannon can look after your personal injury case whether you were the bus driver, the bus passenger or travelling in another vehicle involved in an accident with a bus or a train. This is a complex area and needs experts like Vincent and Tim Shannon to process your claim. 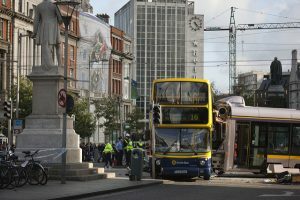 With the increase in road traffic in Ireland it is important to engage bus accident lawyers like Vincent and Tim.